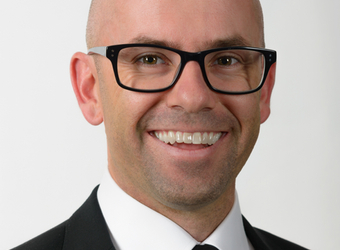 Diageo Australia has announced the appointment of Adam Ballesty to the role of marketing and innovation director, following a four month secondment to the role. As marketing and innovation director, Ballesty will be responsible for brand, category, shopper and customer marketing as well as developing Diageo’s innovation pipeline. He replaces Matt Bruhn who left Diageo Australia in October to take up the role of Smirnoff Global Brand Director based in New York. Diageo Australia managing director, Tim Salt said that during Adam’s secondment to the role he demonstrated he was more than ready to step up to the position on a permanent basis. “Since assuming the role of acting marketing and innovation director in October, Adam has set out a clear vision for the function and reshaped the marketing team to deliver against that vision. He has stretched our thinking on what we take to market, how we take it to market and the channel we use to get there and has done a superb job of taking us all on the journey with him. “I’m particularly proud of the fact that Adam has been promoted from within the organisation, as was his predecessor Matt Bruhn. It’s a great testament to the breadth and depth of talent we have within Diageo and the opportunities for growth that we can offer our people,” Salt said. Ballesty joined Diageo two years ago as a marketing manager heading up the white spirits portfolio. During that time, Ballesty and his team have successfully launched a new business model for the Ciroc brand, extended the reach of Ketel One and re-invigorated the Smirnoff brand with the recent launch of Smirnoff Double Black. Ballesty began his career with Swift and Moore (now Brown Forman Australia) where he cut his teeth in alcohol brand marketing. He later managed his own strategy and research business, worked on start-ups such as Skins Compression and Unistraw and re-launched the much loved Aussie icon, Volley, during his time with Pacific Brands.